After helping many of our clients prepare for their weddings this last season, we've had the pleasure of seeing their beautiful final results in the photos taken on their big day. This is a part of our job that brings us a lot of happiness. The relationship that we have with you, our patients, is first & foremost professional, but often friendship grows as we get to know you. Knowing that we played a part in your looking and feeling your best on one of the most important days in your life is so gratifying to us that we want you to know that we appreciate your letting us be a part of it. "One of my favorite things as an aesthetician is when a patient comes in flashing that beautiful engagement ring & tells me she's getting married. 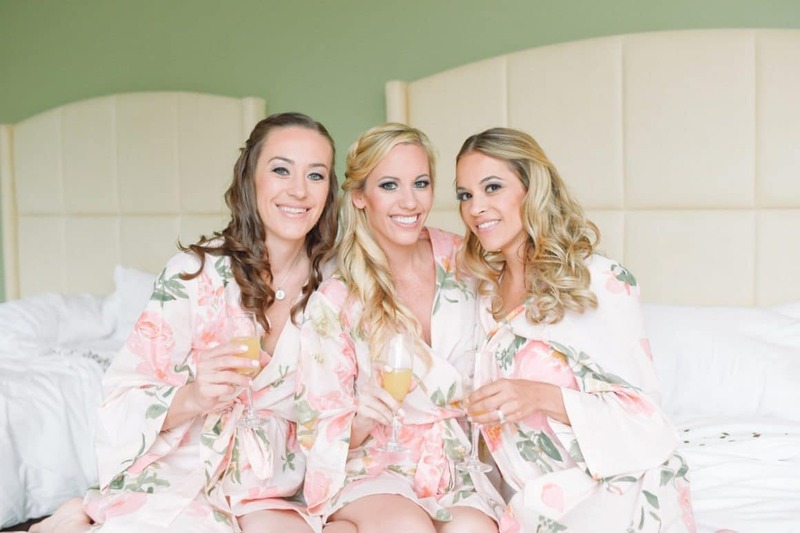 I love helping my brides prepare for their big day, & having been the mother of the bride 3 times in the past 9 years, I also understand that it's not just the bride who wants to look & feel her best." - Gale Pingleton. Since holiday festivities are on the horizon, we've outlined a general guide that would be beneficial for most anyone preparing for any big event. Whether it's a wedding, a reunion, the trip of a lifetime, a big New Year's celebration or your turn to compete in Dancing With the Stars, the sooner you can get organized & get started, the more enjoyable & successful the process will be. CoolSculpting to reduce & smooth any areas of stubborn fat. Tip - Eat as healthy as possible leading up to the event & be sure that you are drinking enough water. Remember that what is happening internally often shows up externally on your skin. 5 months - Start on a customized professional skin care regimen of at-home products that target your skin's needs & begin your corrective in-office skin care treatments. A series of 3 microneedling treatments or chemical peels can help to address skin texture, pore size &/or hyperpigmentation. Tip - Visit your dentist to discuss whitening your teeth. We've also heard wonderful things about Crest 3D white strips, & using a blue based lip color, whether you go for a lipstick, stain or gloss, will also help to make your teeth look whiter. 4 months - If you have wrinkles or lines, have a Botox and/or dermal filler treatment/s this month. Try to complete your last CoolSculpting treatment by the end of this month so that you achieve the maximum results by your event. We recommend starting your lashes on Latisse if you haven't already, so that they're longer, fuller & darker by the big day. Tip - if you've ever had cold sores, we recommend talking to your physician about starting an antiviral medication prophylactically. The extra stress you are under during this time could trigger an outbreak, & starting on suppressive therapy during crunch time will ensure that on one of these buggers isn't photo bombing your special event. 3 months - Finish up the last of your corrective skin care treatments this month and try out your makeup looks. Tip - Start doing weekly deep conditioning treatments for your hair. Hydrated hair will allow the cuticle to lay down smoother which will reflect light better & make hair appear glossier. You can visit a salon or DIY. Apply deep conditioner, pile hair on top of your head & put a cheap plastic shower cap over to lock in heat which allows for better product absorption. Remove cap before showering & wash hair as usual. Dermaplaning treatment. Both make excellent pre-event facials & leave skin looking absolutely luminous in the days following treatment. Together you & your aesthetician will decide which is best for you & you can try it out this month to be sure that your skin responds well to it. pro exfoliating lotion and don't let unsightly skin tags ruin your strapless dress by dangling from your armpit. We can easily remove those with Cryoclear.  1 month - Have another Botox treatment and any filler touch up that may be necessary. Do not try anything new! This includes skin care products, laundry detergent, everything. The week of - Have your pre-event facial. Your work is done, you gave it your all and now it's time to try to relax and be present so that you can really enjoy the reason you put all this work in in the first place. Tip - Take comfort in knowing that pretty much anything can be fixed with photoshop. Remember that it is better late, than never. Even if you think there isn't enough time - contact us anyway. We've got a lot of tricks up our sleeve & can put together a beauty checklist to meet your needs in the time you've got!